This year, the Build America Award went to Fiegen Construction Co. for the Sanford FIELDHOUSE project. Fiegen Construction Co. was selected as the Design/Builder for the new Sanford FIELDHOUSE in January of 2012. Construction began in March of 2012 and final completion was the end of August. 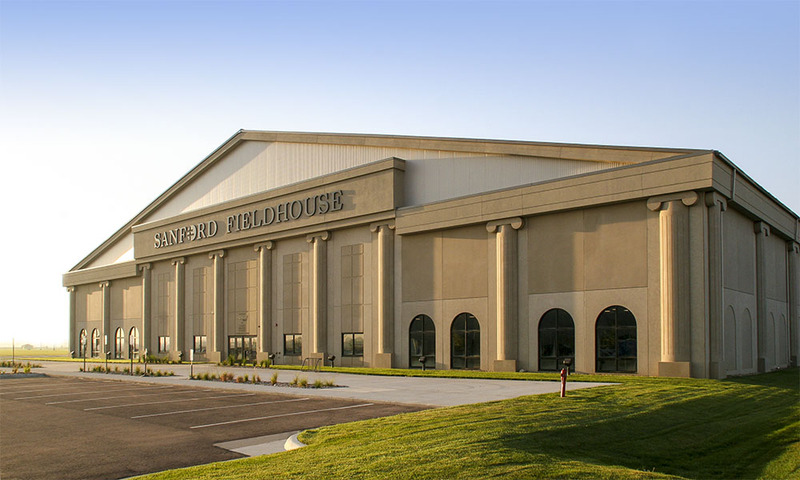 The Sanford FIELDHOUSE consists of an 88,500 sf indoor soccer facility, locker and weight rooms, basketball court and baseball facilities, sprint track lanes, a Physical Therapy as well as the Sanford Health’s Sports medicine facilities and offices. The Build America Award was developed by the AGC of South Dakota Public Relations Committee in order to enhance the image of the building construction industry in South Dakota. The building construction industry in South Dakota is a $1.4 billion a year business employing 22,000 people. Fiegen Construction Co. received the Build with the Best - Build America Award in 2011 for the O’Gorman High School and Performing Arts Center, 2010 for the Benchmark Foam project (Watertown, SD) and in 2009 for the new Sioux Falls Surgical Hospital.